Every hour, at least one pedestrian is hit by a car in Toronto. Every hour, a pedestrian is struck by a car in Ontario. Pedestrian accidents are very common, and often result in devastating, if not catastrophic injury. Pedestrian accidents car occur when a driver isn't paying attention to the road, or they aren't following the rules of the road. Pedestrian knock down cases involve elements of Highway Traffic Act law, Insurance Act Law, as well as personal injury law. 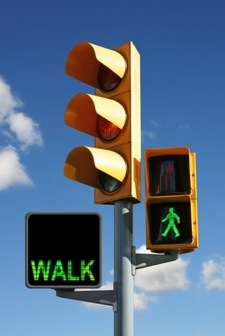 Sometimes pedestrians are charged by police with failing to cross at a cross walk, or jay walking. Despite these charges, the personal injury lawyers of Goldfinger Law have been successful at helping pedestrians get the compensation and the benefits which they are entitled to. The personal injury lawyers of Goldfinger Law have been helping Toronto pedestrians, and pedestrians across Ontario recover millions of dollars in damage awards for claims. These cases can result in brain injury, spinal cord injury, broken bones, soft tissue injury, chronic pain, or a combination thereof. Often, pedestrians don't have any form of car insurance so there may be insurance coverage issues with respect to the accident benefit portion of the case. If a pedestrian who does not have any car insurance is hit by a car, there is a priority of insurance which needs to explored in order to determine who pays out for the first party car insurance on the accident benefit portion of their claim. These accident benefit claims can get significant when taking into consideration the amount of attendant care benefits, and medical/rehabilitative benefits which may need to be exhausted following a significant or catastrophic injury. The first thing to do after you've been hit by a car as a pedestrian after you've sought medical attention and spoken with the police is to call the lawyers of Goldfinger Law. If you're in the hospital and cannot make it to our office to meet with one of our injury lawyers, we will be pleased to visit you at your home or at hospital to attend to all of your needs and give you a free no pressure consultation. Representatives from the insurance company will also likely try to visit you at the hospital to put an end to your case before it even gets off the ground. Don't be taken advantage of by the insurance company. It's their job to come out and see you before you understand what your rights are, or what benefits you're entitled to. Goldfinger Law has seen far too many injured pedestrians get hurt twice by failing to contact our office promptly for their free consultation. Don't let the same thing happen to you. Our office works with the best forensic engineers to re-create the accident scene to better understand the mechanics as to how the pedestrian car accident took place. Our engineers are specifically trained to deal with pedestrian and car accidents so that the Court, Judge and Jury gets a proper understanding of how the accident happened, and who's fault the accident is. If you or a loved one has been hit by a car, don't hesitate to call Goldfinger Law today for your free, no hassle consultation 416-730-1777 1-877-730-1777. 5.0 "I don't know where we'd be without Brian"